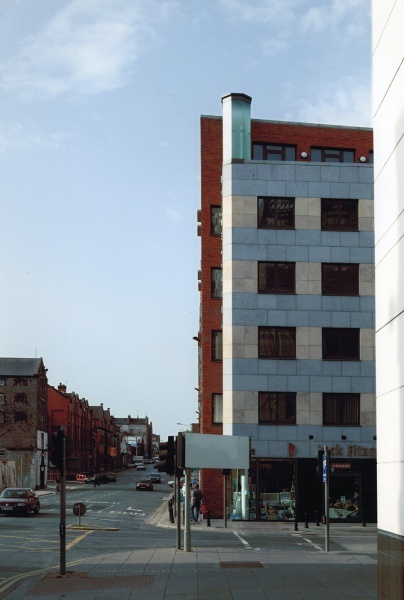 The building was the final piece in the development of the city block between Howleys Quay and Henry Street. The brief called for a simple office building. The planning requirement was for a celebration of the corner. 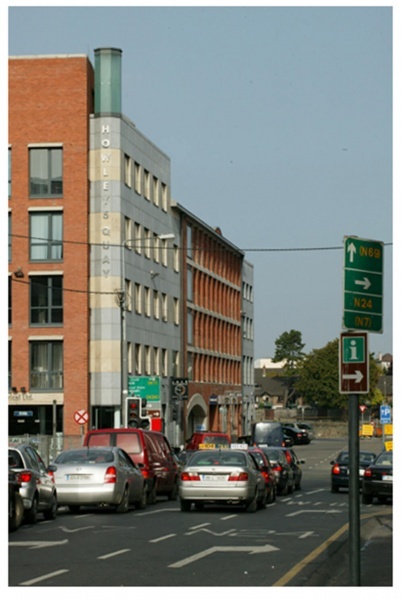 The Henry Street façade uses the same architectural language as the rest of the block. Red brick, tall windows with concrete “eyebrows” are arranged in a pragmatic manner. The side elevation in contrast is made of stripes of grey and cream limestone into which are slotted ribbon windows. 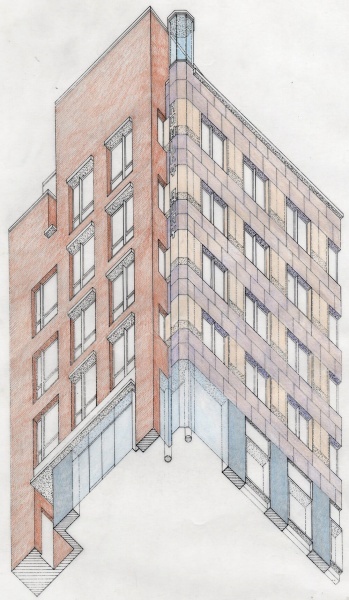 The striped wall returns in a curve to meet the Henry Street elevation, and rises to form a glass lantern at the top.